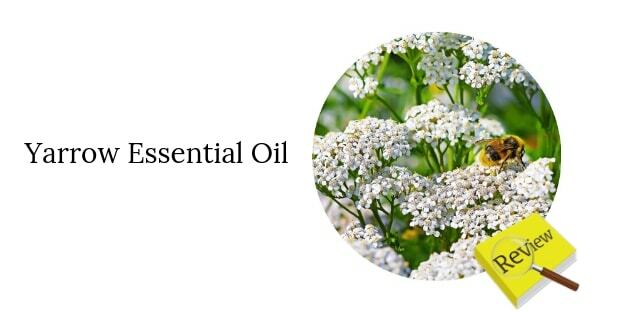 REVIEW | Yarrow Essential Oil | Magical oil! I am not one to make reviews (hardly ever actually), but I do read them, and enjoy ‘getting inside’ a product from other people’s personal experiences. So I have for some time now been thinking I should write a review for these fabulous essential oils that The Dutch Health Store carries. Cause I simply love Living Libations and I love The Dutch Health store as well, period. I work with natural plant materials and essential oils for a living, and I am rather picky with what I use and choose both professionally and personally. But never once has Living Libations disappointed, on the contrary, their oils are truly some of the best ones I have ever tried. As it is, I could more than happily write a five star review on any of the 40-50 Living Libations essential oils I have here with me, but fate had it so that it is one of the latest arrivals from Wilma that’ll be the chosen one – Yarrow. To receive a parcel in the post from Wilma in Holland to Denmark is always like ‘a Christmas time’ to me, and the excitement I feel opening the cardboard box to welcome and investigate my new ‘essential allies’ is a moment of thrill. When I first opened the little bottle with Yarrow to smell, I was immediately drawn into a deep beautiful blue sea of botanical healing, where it instantly captured me and I could not let it go, I just had to sniff and sniff and sniff – aaaahhh – and my very first thought was ‘Now this is medicine!’. 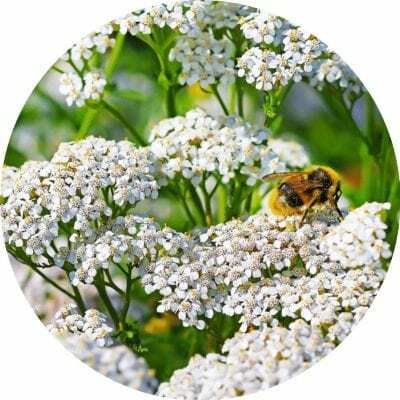 Herbaceous, gentle, sweet, honest and deeply satisfying is how I would describe the wonderful fragrance of living Libations’ Yarrow; like walking barefoot into a garden or field of wild dry grass and healing flowers. The dark, deep ink colour of this particular oil is almost frightening, and again reminiscent of mystical, alchemical healing. And Yarrow is just that – an ancient herb of healing, protection and power. 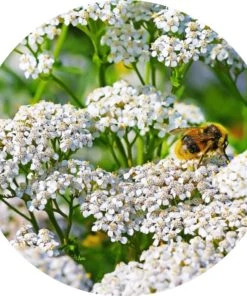 Being one of the world’s oldest medicinal plants, Achillea millefolium could in its unique way help just about anything or everything that could ail one’s mind, body or soul. And to me Yarrow is a warrior’s herb; expanding, resilient, and strong – weathering almost any storm. It heals both physical wounds and wounds of the spirit, defending and protecting anything that is sacred and true with a strength of love and compassion. And even with its serious power and down to earth honesty, it has a joyous, optimistic and almost playful spirit or essence to it. Up until now I am using Living Libation’s Yarrow in an anti-inflammatory facial serum I am making for stressed out, red and burning (eczema) skin and I also use it in my Salt pipe to receive it’s healing strength and properties internally for myself as well. Perhaps the next will be adding it to one of my new perfume blends..? Thank you so much Wilma! Living Libations is an exquisite line of serums, elixirs and essentials oils for those seeking the purest of the pure botanical health and beauty products on the planet. This entry was posted in Beauty Product Reviews, Beauty Trends, Face Care Reviews. Bookmark the permalink. The best “all-in one” mouth product ever!! !